Suddenly I'm craving beer and pretzels, not good considering it's 6:45 am, but I have a good excuse. 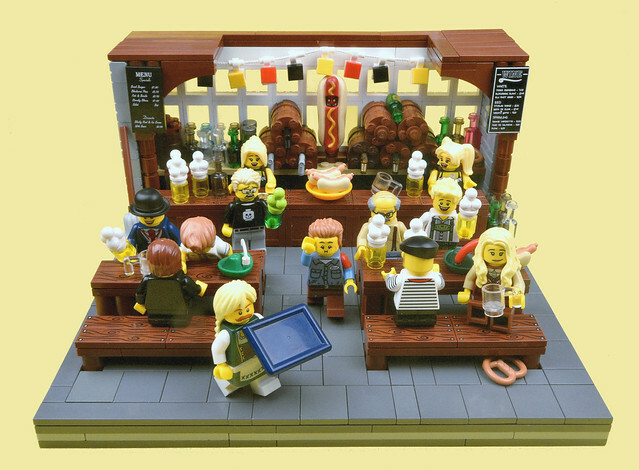 Check out all the fun this group of minifigures is having in this charming and super detailed scene by MinifigNick. Well, maybe not that guy in the middle, he seems to have overdone it perhaps.